Whilst MKSB does not currently provide personalised E learning for Milton Keynes – we do recognise the need for E Learning within organisations. Please find links below to current available E learning that is supported and promoted by MKSB. These are detailed by subject matter. Please find the link to available training provided by the ©College of Policing & Metropolitan Police Service 2014 here. The Module provides information on Channel and your responsibilities to the process. It also details how this links to the government’s Counter Terrorism Strategy (CONTEST). In August 2014 the Home Office launched a free online training package dealing FGM, developed with the Virtual College. The free online training provides safeguarding professionals, including teachers, police, doctors, social workers and Border Force staff with an overview of FGM and their responsibilities in FGM cases. It also contains information on how to prevent FGM and helps professionals support those who have been subjected to it. 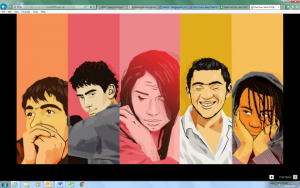 Parents Against Child Sexual Exploitation (PACE) offer a free online training package providing a brief introduction to Child Sexual Exploitation. Whilst the package is aimed at parents and carers, professionals and volunteers may find this package useful to complete. The Department of Health and The Children’s Society have also developed an engaging and interactive elearning course to help healthcare professionals and partners protect and identify children and young people at risk of abuse or exploitation. This course is designed to enable all healthcare workers to spot the signs of child sexual abuse and exploitation, and help them create an environment where young people are more likely to disclose. The hour long course features a powerful drama about a young boy called Tyler, and raises awareness of what to look for when healthcare professionals come into contact with a child or young person. Applying the learnings from the course will help us to create a widespread change in the way children and young people experience health settings. The course can be accessed by visiting www.seenandheard.org.uk. The NSPCC provides online learning for a small fee. Whilst this course would be considered to be appropriate Milton Keynes practitioners will need to complete it with the local procedures in mind, which can be found at our MKSCB Procedures Website. 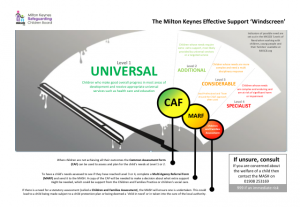 It is particularly important that any safeguarding training is considered in line with the Milton Keynes Levels of Need document, which is available to download here.